We had an early start on our second day in Indonesia as I had a sightseeing trip to Kota Tua, the oldest part of Jakarta, with the team and Wilda. First, we visited an organization that does something meaningful. They empower people who have been in jail with skills, so that they can rebuild their lives in the right way. I was very impressed by this as I think people should be granted the opportunity to change their lives, so teaching them the art of jewelry making or being baristas is commendable. It’s giving them a second chance. Wilda and I toured the old town and we visited a museum. Here we also learned to play a traditional Indonesian musical instrument and learn leaf weaving. I have always loved crafts, so it was fun doing it, especially with my Supra sister, Wilda. After lunch, we headed off to a very special treat with all the outgoing Puteri winners, the Taman Sari Royal Heritage Spa. Here I also got to meet Catriona and Mariem for the first time and got to know them better. They are both such wonderful young women and I was very happy that we got to share this experience together. The treatment was heavenly – if you are ever in Jakarta, I highly recommend it. Something very, very special happened after the spa treatment. I got to meet one of Indonesia’s most famous designers, Anne Avantie Heart, to try on my kebaya. 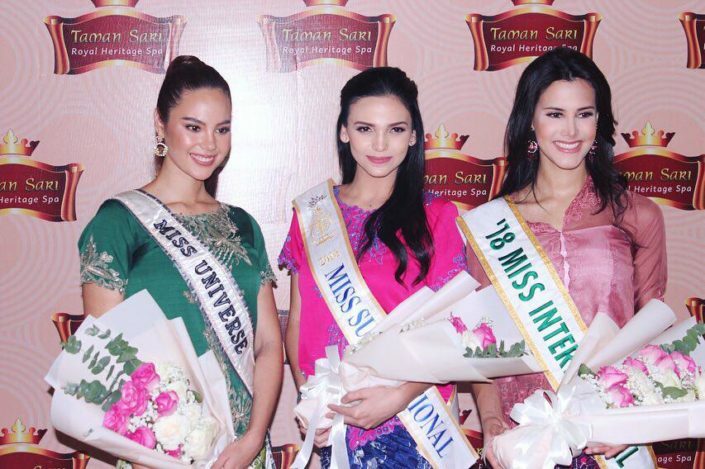 Now, I am sure that if you have followed my journey, you will know that I had been dreaming of wearing a kebaya. I have been asking my organization for weeks about the color or design, but they kept it as a surprise… and what happened when I finally tried it on?! Tears just came… I can’t describe it, but it was just so beautiful that I was overcome by emotion. I always knew that it was going to be special, but it blew my mind. 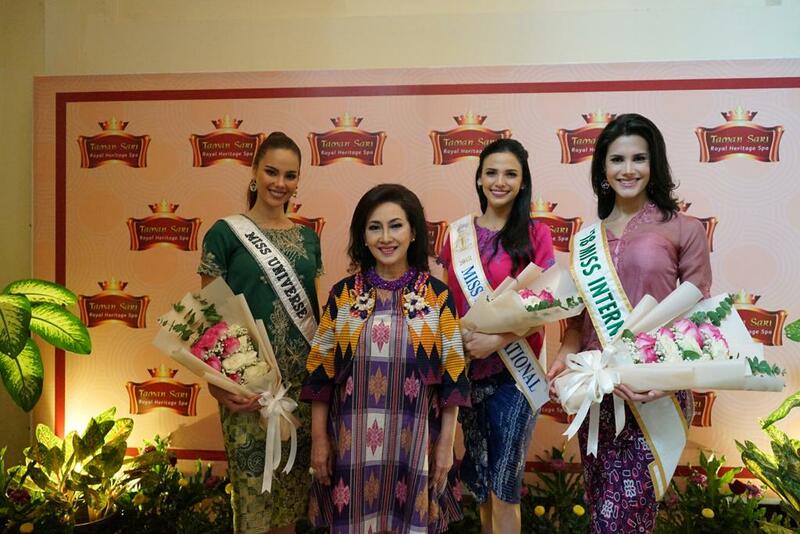 Mariem , Vania, Wilda and I had a Meet and Greet event with the Pageant Lovers of Indonesia that evening. It was fantastic. I truly love this about Indonesia – everyone is so passionate and supportive and we really felt the love. Sometimes in this industry, people choose to be unkind, so experiencing this kind of love is heartwarming and it is the best part of the job. Thank you to everyone who came to support us and our catwalk challenge was just the best. Back at the hotel, I was already in my pajamas when I heard that Jenny (last year’s Miss Supranational) was having a late dinner with Mister Gerhard and Andre. I just had to jump out of bed to go and see her. That’s the best part of being in the organization. We are truly a family and we find great joy in spending time with each other. I also got to meet Miss Supranational Suriname, Sri, for the first time. It was so good to see Jenny again and we laughed until we cried. I went to bed very happy after another great day in Indonesia.